Rural opportunities for the future workforce. We provide medical and allied health students with opportunities to experience rural practice through scholarships, conference sponsorships, vocational placements and student rural health club activities. By working in rural and remote Western Australia, you will have the opportunity to practise varied and challenging work, develop your professional skills and maintain a healthy work-life balance whilst being part of a close-knit regional community. Contact the Future Workforce Project Officer to find out how you can start your journey. Increase your exposure, knowledge and understanding of rural communities and rural health by taking part in a Student Vocational Experience. 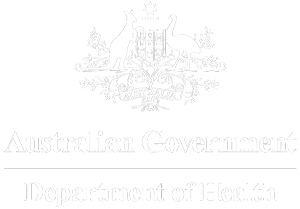 Check out the latest sponsorships and scholarships on offer to medical and allied health students. Experience clinical practice in a rural location through the John Flynn Placement Program. Attend fun and informative events and meet fellow health students! Find out about student events on offer and how to join a Student Rural Health Club. Read the latest news from fellow health students. Click on a story below or visit the Student News page for all the latest news stories. View our Events Calendar for all events including student events, student vocational experiences, conferences and workshops.